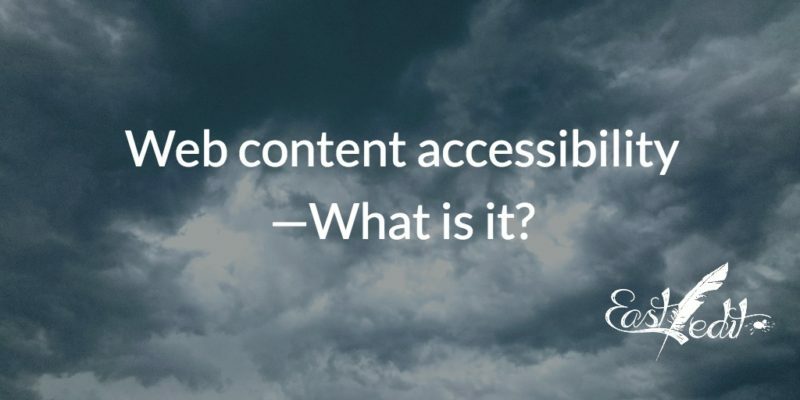 Web content accessibility—What is it? Home/Accessibility, Did you know, Pinned/Web content accessibility—What is it? Are you sure that your web content is accessible to everyone? What about a person with vision impairment (an estimated 300,000 people in Australia) or someone who has a disability affecting their cognition or motor abilities? Accessibility is more than writing clearly—it’s about making sure that a person with disability has an equal chance of being able to access your information. If you don’t make your website accessible, your content may as well be invisible for people using assistive technology. Technical: Things like code that lets a person navigate with a keyboard (or in other ways, instead of needing a mouse), sets reading order and tells machine readers information about a page—such as whether to read a table from top to bottom, or left to right. Design: Includes colour contrast, white space and formatting—such as using distinct heading levels (making sure that your Heading 2 is called ‘Heading 2’ and not ‘Arial 14pt bold’, and that it doesn’t look too similar to plain bold text, or your Heading 3). Content: Writing clearly is a part of this, but you also need to think about other aspects, like ensuring your link text describes its target (never use ‘click here’!) 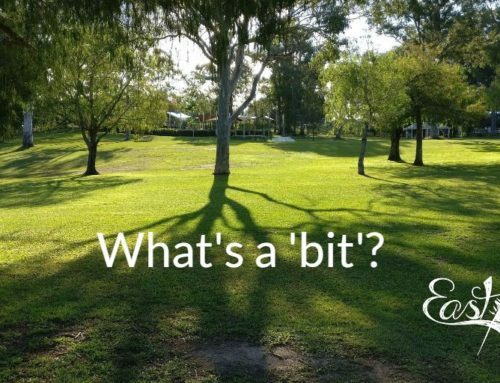 and having ‘alt’ text (text that describes a picture) for your images. Your web team (You do have a web team, right?) should be taking care of the design and technical components, but if you are writing content, you will need to make sure it is accessible. How do I make web content accessible? The simplest way to make your web content accessible is to make all your information HTML (i.e. a web page)—not PDFs or Word documents. If you are creating an HTML page, most of it should already be accessible. Your content management system should be adding the correct HTML mark-up—for example, describing text (in the code) as a Heading 1 or a numbered list. 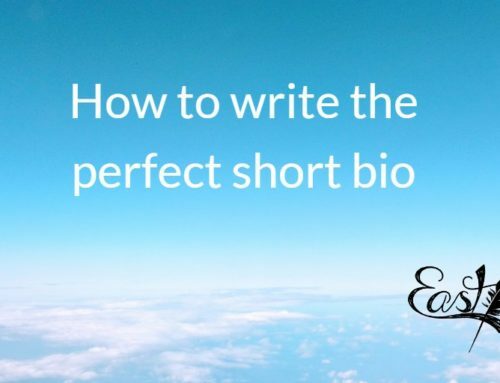 make your headings meaningful and format them properly. Make sure your headings accurately describe what falls under them. People can sometimes add content to a page, forgetting that the headings above them don’t actually cover the topic (e.g. under a heading ‘Public transport’, you wouldn’t include information about ‘available parking’.) Again, the ‘isolation test’ applies. If you just read the heading, what could you assume you’d find under it? If someone is tabbing through headings with a screen reader, content buried under the wrong heading is effectively invisible. Within government, most ‘accessible version’ Word or RTF documents are actually not accessible. And many people don’t know that if you have the information in a web page, it’s already accessible—you don’t need to offer another version on top of this! Modern web print styles replace the need for printable versions. Besides, how many people are going to print your full-colour ink-eating document on their home printers? Look at your web stats, where you have offered an HTML version and a PDF or Word version of the same content, which one is more popular? Set reading order—if you’re using text boxes, headings and footers, etc., how does a machine reader know which order to read everything? It can’t ‘see’ the visual cues. Include a table of contents for longer documents—with jump links. 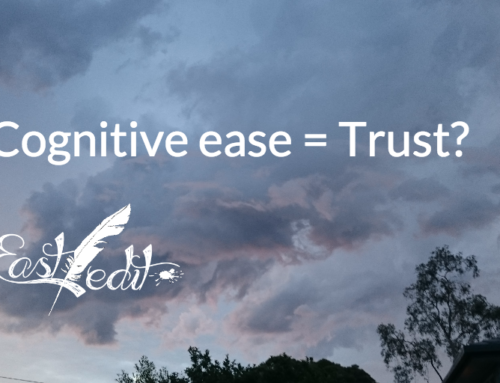 Specify natural language—what language are you writing in? Include metadata—information that describes the content of the document. Force download—don’t let the document open in the browser. Internationally, equitable access to information is a human right, and a requirement of the Australian Disability Discrimination Act 1992. 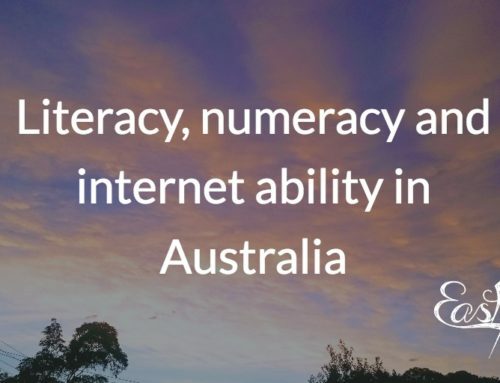 In 2009, the Australian Government mandated accessibility compliance for all government websites: federal, state and local—internet, intranet and extranet. All of these should have been made WCAG 2.0 Level A accessible by 31 December 2012, and Level AA by December 2014. No matter what your organisation, if you’re publishing inaccessible content, you may be subject to legal and media scrutiny—this could get very expensive. Accessibility is an important part of what we do. 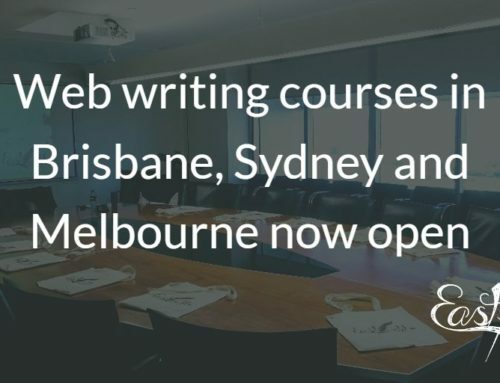 Find out about our web writing training and the next course dates.